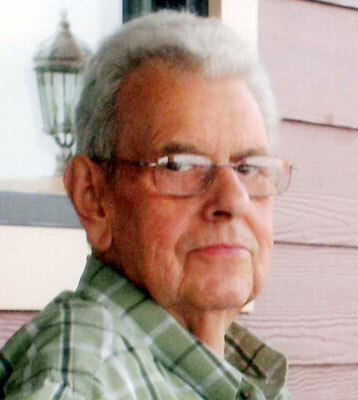 AUSTINTOWN – James Edgar DeHoff passed away on Friday, Feb. 21, 2014, at the age of 79. He was born Sept. 27, 1934, in Youngstown, to the late Edgar DeHoff and Mary (Manes) Stowers. James was a U.S. Army veteran. During his service he was stationed in Fort Knox and overseas in Germany. James was an employee for Isaly’s Dairy, where he co-ran the pasteurized milk department for 18 years before he went on to work for GM for 27 years. During his free time, James enjoyed watching sports, especially following the Browns, Indians, and Youngstown State University, and he also enjoyed fishing. Left to mourn James’s passing is his loving wife of 53 years, Eileen DeHoff of Austintown; his sons, Todd A. (Lori) DeHoff of Austintown and Troy S. (Michelle) DeHoff of Woodstock, Ga.; his grandchildren, Mitchell, Kala, Tyler, Drake, Logan and Madie DeHoff; his sisters, Connie Demko and Diane Pabst; his brother-in-law, Don Parker; his nieces, Cindy and Brenda Parker and Linda (Mark) Tomlinson; his nephews, Danny, Jeff and Myron Agnew; and his great-nephew, Brandon Tomlinson. James was preceded in death by his parents; and his sister, Carol L. Parker.